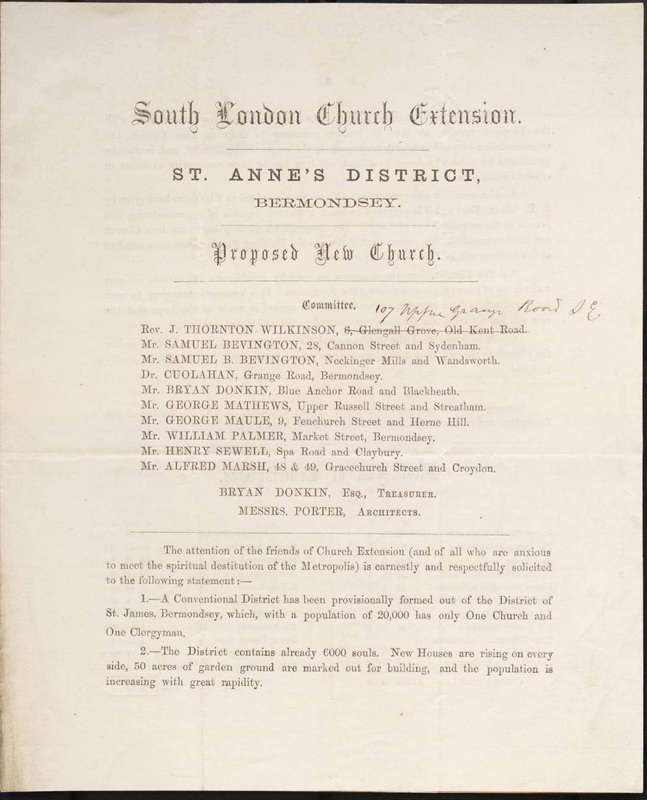 So a new parish and a new church, St Anne's, was planned for the 6,000 people who lived in that part of the parish. Here is a leaflet (left) from the Record Office about the plans for the new church. A site for the new church had been generously donated but because 'the District..contains no wealthy inhabitants', donations were invited. 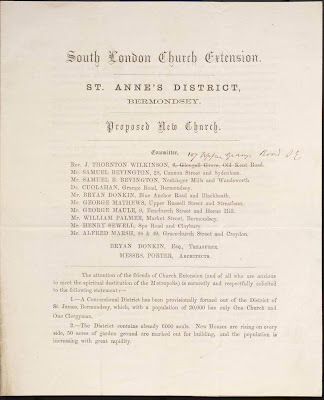 The leaflet lists some of the initial donors: £1000 from the Surrey Church Association (Bermondsey was then in Surrey); £50 from the Bishop of Winchester; £10 from the vicar; £5 from the Archdeacon of Surrey; and then dozens of other donations from local people and the congregation. Finally, the new church was built at a cost of £3,500 and opened in 1870, and stands to this day in the heart of the parish (above), proclaiming the good news of Christ to the people of Bermondsey. 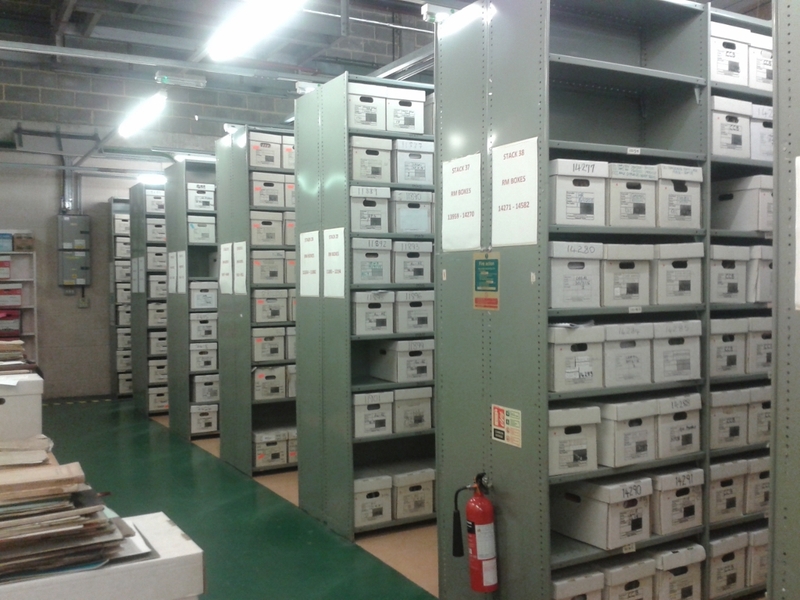 Most people probably don't know it is there, but just up the road from the Blue in Galleywall Road, is the Church of England Record Centre, housing documents dating back to the 14th century on 7 kilometres of shelving. Today the centre had an open day and very interesting it was, too. They had all kinds of exhibits on display including from the marvellously named 'Central Church of England Home for Waifs and Strays', part of a network of church-run children's homes and orphanages. One particularly interesting item was the notebook in which the cook had meticulously recorded in very neat handwriting what the children had to eat each day of the year. 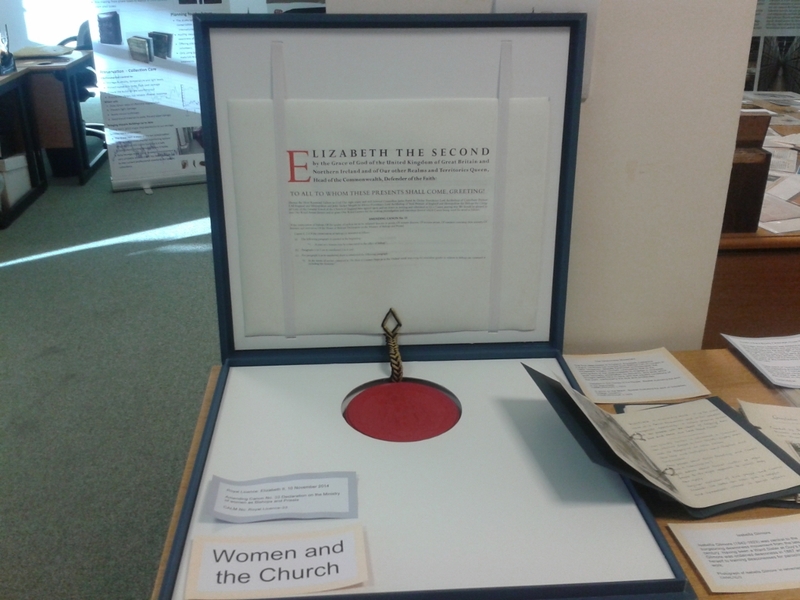 Also on display was the official deed (right) changing the Canons to allow women to be bishops. Then, when the archivist, discovered I was the vicar from St James and St Anne's, he dived off into the store rooms and came back with a greal pile of documents concerned with the early days of our two parishes. 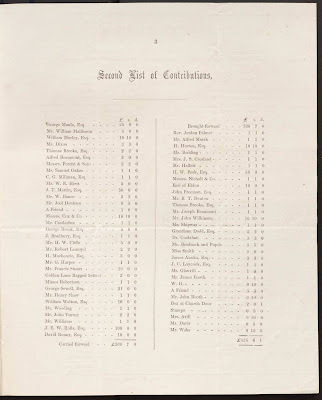 For St Anne's there was a list of donors who had contributed to the appeal to provide for the new parish. 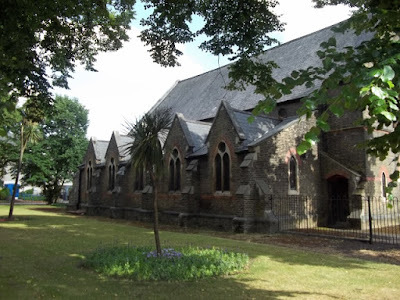 For St James there was a pile of correspondence from the early 1820s, all in beautiful copperplate writing, setting out plans for the new church, including the detail that (in the pews) 20 inches was to be allowed for each adult, and 14 inches for each child. 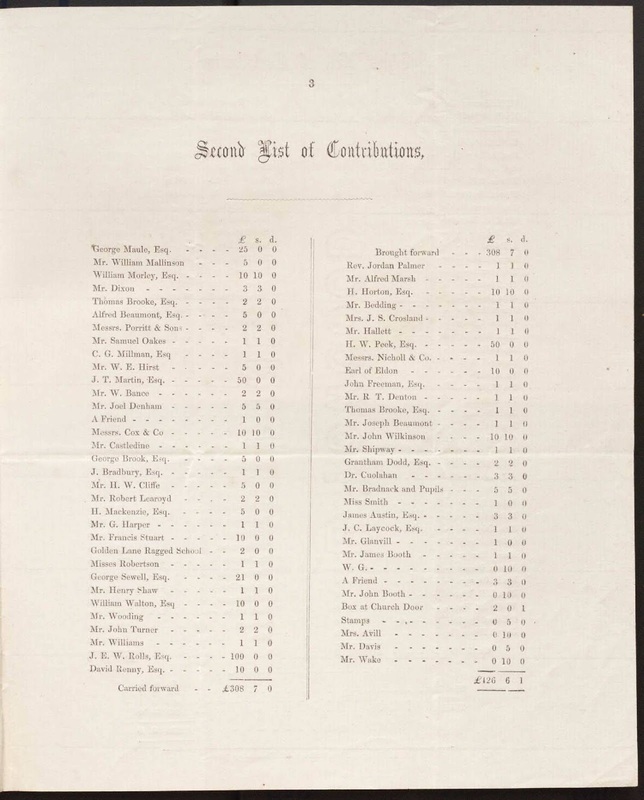 Accommodation was to be provided for 1,955 people altogether. The centre moves to new purpose built accommodation at Lambeth Palace in a few years time, but for the time being it is another ingredient in the fascinating mixture that is Bermondsey. To Southwark Cathedral tonight for a wonderfully moving performance of Mark's Gospel by the Rev Joseph Morris (left). 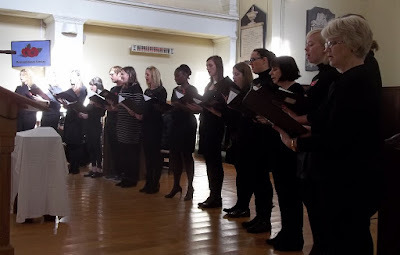 The Retro-Choir of the Cathedral was a wonderful setting for this compelling performance which conveyed the message of Mark's Gospel with fresh power. Ziya, the manager loves Bermondsey and he loves Wimpies. That's why he's been eating one every day for 31 years. 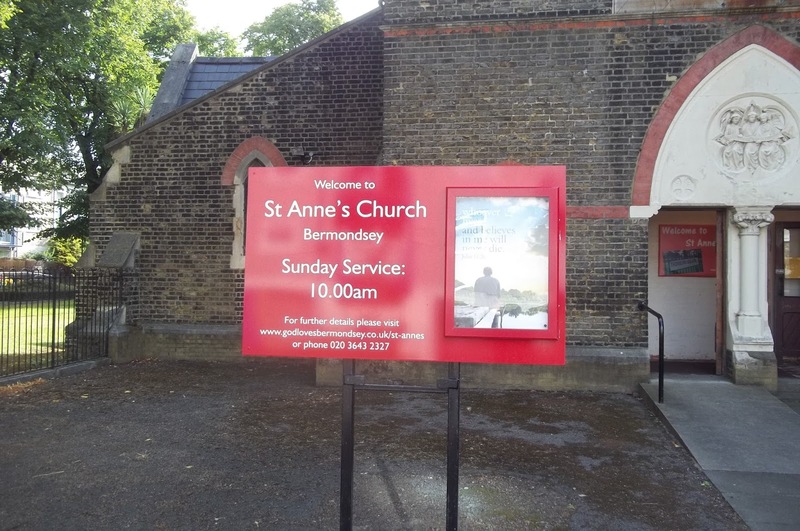 When the first vicar of St Anne's arrived in Bermondsey he had no church building and no congregation, so he started preaching in the open air. He began with a congregation of 6 but this grew to 200 by the time a temporary iron church was erected. The first ever recorded baptism in the new temporary structure occurred on 4th April 1866. In time the congregation grew and funds were raised to construct the building we know today. 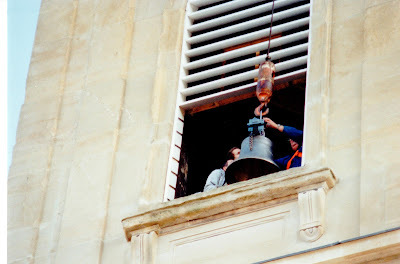 It cost £3,500 and opened in 1870. 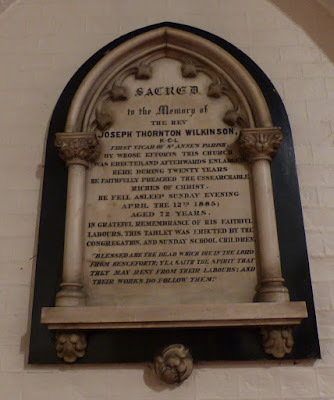 As for that first vicar, Joseph Wilkinson, he is remembered to this day with a memorial tablet in the chancel (above). 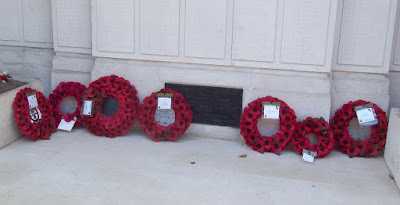 It was placed there 'in grateful remembrance of his labours by the congregation and Sunday School members.' It says that 'during twenty years he faithfully preached the unsearachable riches of Christ' and that is a wonderful epitaph for any clergyman. St James's new bells were rung for the first time on Remembrance Sunday twenty-five years ago. 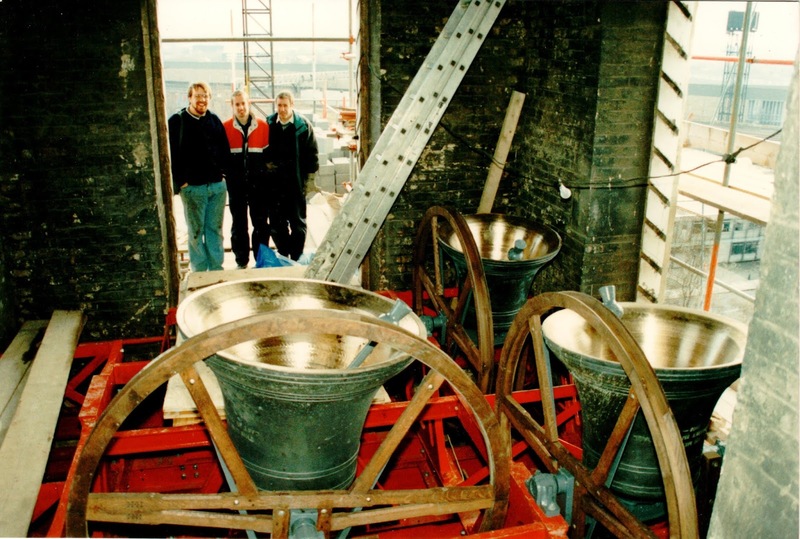 Yesterday we marked the anniversary with a moment of thanksgiving for the Docklands Ringers who have made it possible for the bells to ring out across Bermondsey every Sunday for the last quarter of a century. 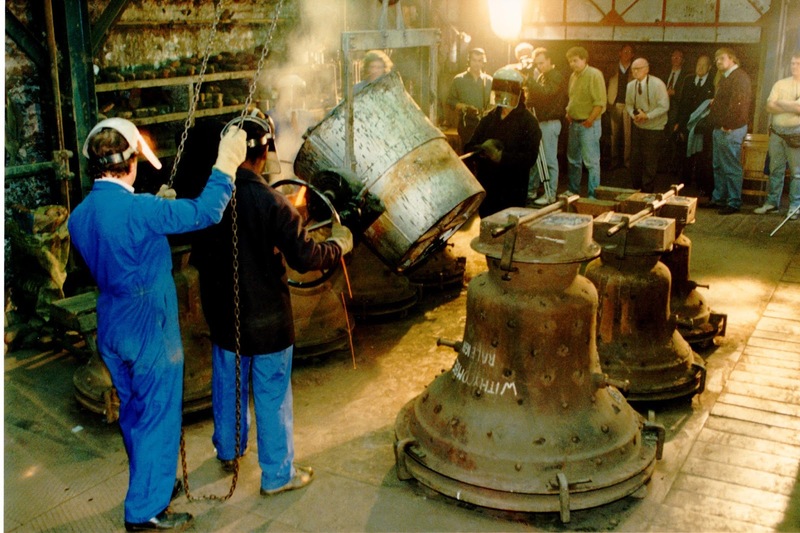 With a video link to the ringing chamber and the bell chamber, the congregation were able to watch a live demonstration of bellringing on the screens in the church and, after the service, the congregation had the opportunity to tour the bell tower and meet the ringers. Thank you, Docklands Ringers. where they ring to this day, and new bells for St James were cast at Whitechapel and hung in a new bell-frame especially made for St James's Church here in Bermondsey. Rememembrance Sunday began with an Act of Remembrance at the war memorial in Old Jamaica Road (above) for the Queen's Regiment, Bermondsey Battalion. We were joined by representatives from the Army, the British Legion (left), including the cadets who formed the parade, by representatives from Southwark Council, by Neil Coyle MP, and by Sir Simon Hughes, who all laid wreaths at the newly restored memorial, following the two minutes silence. From there it was back to St James, where the bells were already ringing, for our main Remembrance Sunday service which included contributions from our local community choir, Bermondsey Voices. 'Sadly, there never has been a war to end all wars. Warfare and violence continue to mar the face of God’s earth to this very day. The Bible’s answer is to point to one man, and to what he did when he stepped into human history. He was quite clearly the most powerful man in the world. All things were made by him and through him. His father’s settled plan was that this Son would have supremacy in all things. He was the king of kings. The Lord of Lords. The President of Presidents. The Prime Minister of Prime Ministers. He knew that the Father had put all things under his power, and that he had come from God and was returning to God; but what did he do when they mocked him, insulted him, spat at him, whipped him and abused him? As the Apostle Peter tells us in today’s second reading: When he was insulted, he did not answer back with an insult; when he suffered, he did not threaten, but placed his hopes in God, the righteous Judge. The most powerful man in the universe turned the other cheek and never hit back. And then in the battle to end all battles, he took the weight of the world’s sin and violence and disobedience on his own shoulders. Christ himself. God’s chosen one. The king. Took OUR sins in his body on the cross. By his wounds we are healed. He died our death. He bore our sin. He accepted our punishment. Like a sheep about to be slaughtered he never said a word. And on that day Love won the victory. So that in his dying breath, God’s son could say ‘it is finished.’ Not ‘I am finished’ but ‘it is finished.’ The great work of salvation has been triumphantly accomplished in the shame and blood and degradation of the cross. Our very own bishop in Bermondsey was the latest speaker at our men's breakfast this morning. 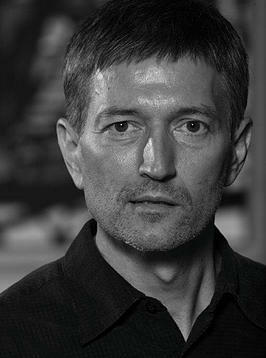 St James member, and Mission Theologian in the Anglican Communion, Graham Kings told his story of faith. As a young student Graham had no thought of God. He knew about God but he didn't know him. In fact he didn't know you could know him, but the first person he got to know at university was a Christian. Intrigued by his friend's faith, Graham started reading the Bible. He was struck by the person of Jesus and by the way he saw the life of Jesus reflected in his friend's life. A few months later he was in church and the vicar said you could say a prayer and ask Jesus into your life, and he would come in and live in you by his Spirit. That was a revolutionary thought to the young Graham, but he prayed the prayer. Jesus did come into his life, and his life changed from that very day. 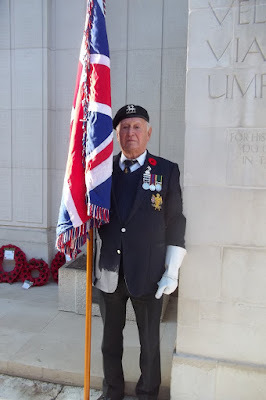 In the same week he met a girl called Ali and he joined a missionary prayer group. That began two more lifelong relationships: with Ali who became his wife, and with overseas mission, which has remained a passion to this very day, as we travels the world on behalf of the Archbishop of Canterbury, encouraging the work of mission. At the eleventh hour of the eleventh day of the eleventh the children of St James's School came to the church today to remember. The whole school stood in perfect silence for two minutes. 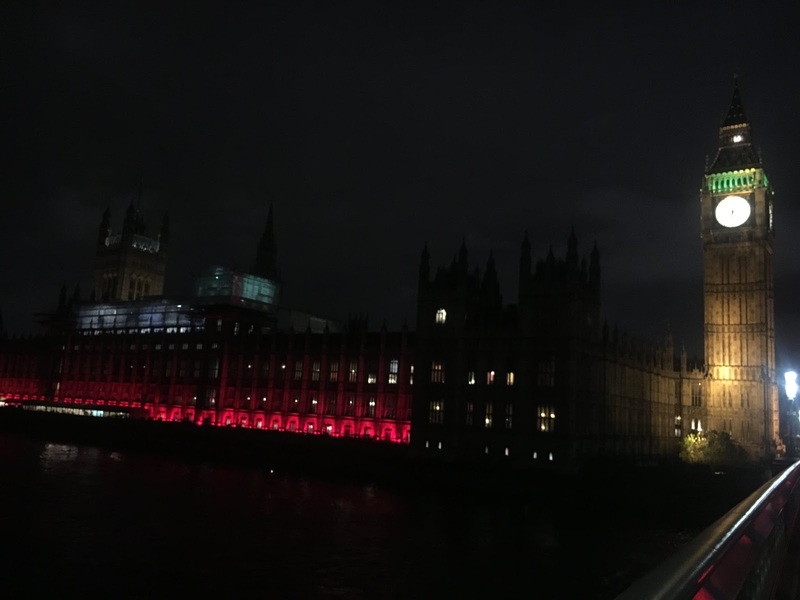 Two children brought forward a poppy tribute. Two others read extracts from the prophet Micah and John's Gospel, which Penny then referrred to in her talk, concluding with Jesus' call to love one another. We sung 'Kum ba yah' - come by here, Lord - and we prayed for peace in the world. It was good to remember. 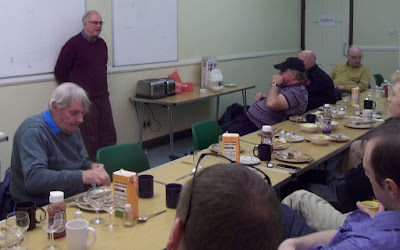 Today was our monthly C4T ministers lunch. 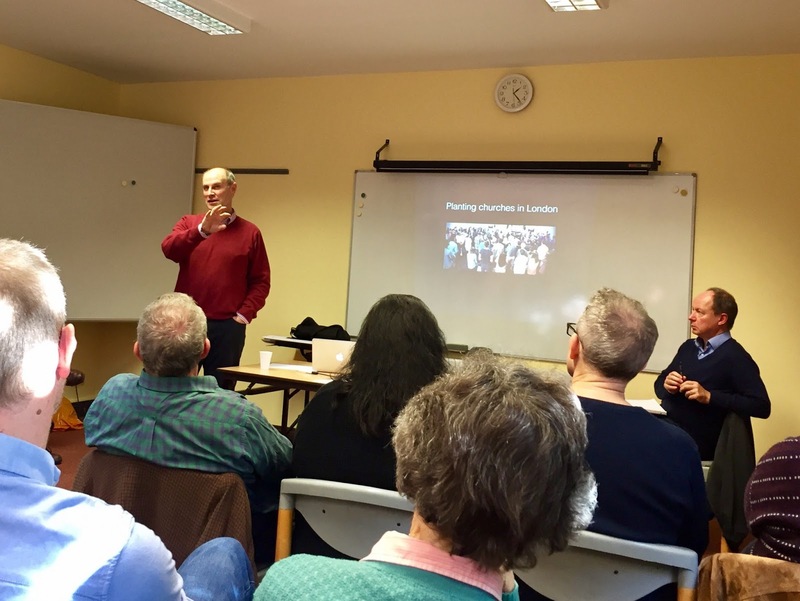 C4T stands for Christians for Transformation in Bermondsey and Rotherhithe, and links together the churches in the area. 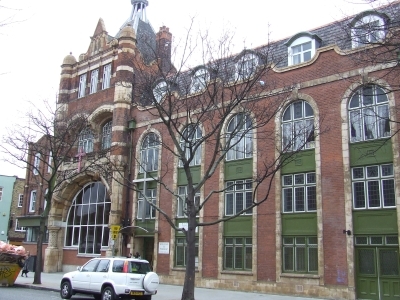 For the first time today we met at the Methodist Bermondsey Central Hall (left), hosted by their minister, Janet. It was good to hear of their thriving and growing congregation and the hive of activity that their building is each day, with its plethora of community activities. The Central Hall was built in 1900 as part of a project to reach out to some of the poorest districts in London. The original building had a hall that seated 2,000 people and in the early part of the century huge numbers flocked to the hall. 656 ladies belonged to the Mothers Meeting and no less than 439 young people aged 15 and above came to the 'Young People's Pleasant Sunday Afternoon', a kind of follow on to Sunday school (which itself had 620 members and over 30 teachers). In the 60s the building was remodelled and additional residential accommodation was provided that continues to provide much needed affordable housing for single people to this day. 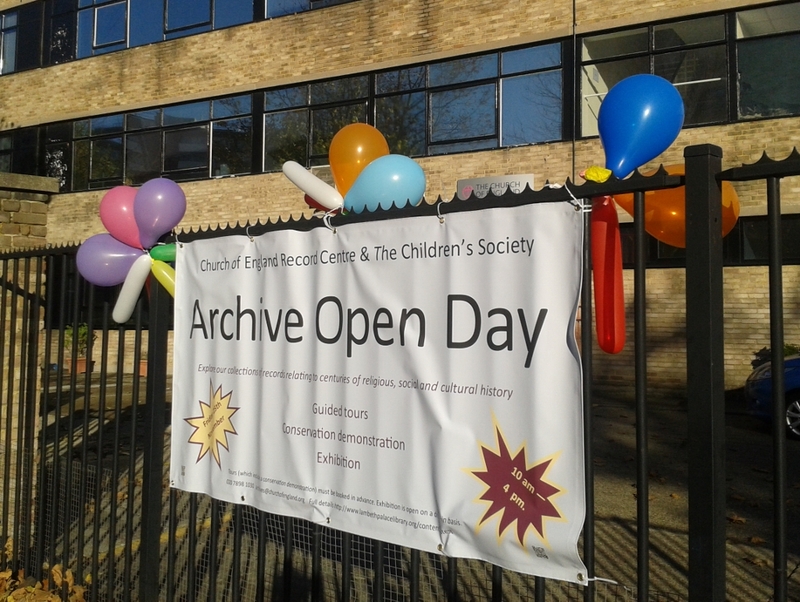 Today it was good to see the church is in good heart, still serving the people of Bermondsey after more than a century. 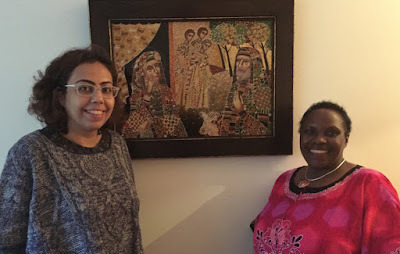 St James's received greetings from Nairobi and Cairo today from Lily Botrous, Academi Dean of the Alexandria School of Theology in Egypt, and Lydia Mwaniki, Director of Theology with the All Africa Conferences of churches. Both ladies are staying with Bishop Graham & Ali Kings here in Bermondsey, en route to sabbatical study in Durham. It was good to welcome them to St James, good to receive greetings from our brothers and sisters in Africa, and on a day when we were especially thinking about God's peoplev from 1 Peter, good to be reminded that we are part of a worldwide family, drawn from every nation on earth. One of our visitors today particularly commented on the multi-racial dimension of St James. I liked the way she put it: 'you have many different tribes in this church,' she said. In that sense, St James and St Anne's, is a little foreteste of heaven. 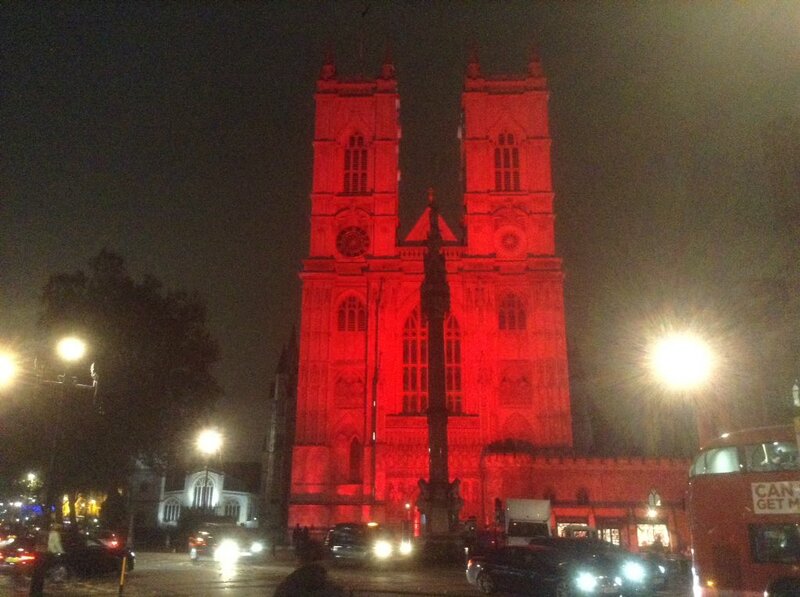 The Diocese of London, that's Church of England London north of the Thames, is planning to plant 100 new churches by 2020. They call it Capital Vision 2020 and Bishop Ric Thorpe crossed the river today to tell the Southwark Diocesan Evangelical Union about these exciting plans - and get us all enthused about church planting. Bishop Ric is a new style bishop. Unlike most bishops he doesn't have a group of churches to look after. His job is to create new ones - or at least encourage others to do so. 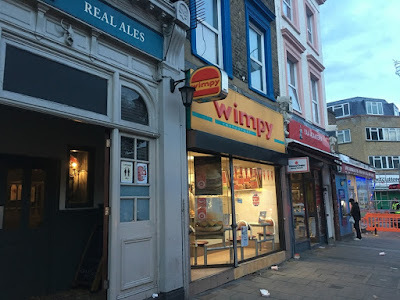 The London goal of 100 new churches is impressive but Ric pointed out it is a drop in the ocean if we are to reach the whole nation with the gospel. 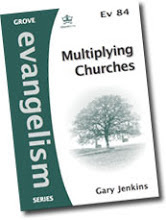 We really need thousands of new churches. It was inspiring and challenging stuff. Now, how about a few more churches in Bermondsey? (not necessarily more church buildings, but more communities of God's people sharing the good news with the community). That's something to think about and pray for. 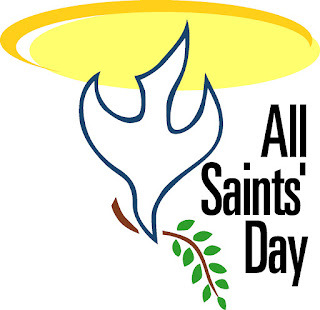 There's enough evil in the world anyway without a whole day to celebrate the darker side of life, so goodbye Hallowe'en, and hello All Saints Day, a much brighter festival. Not special Christians, not heroes of the faith (though they're included), but every Christian. 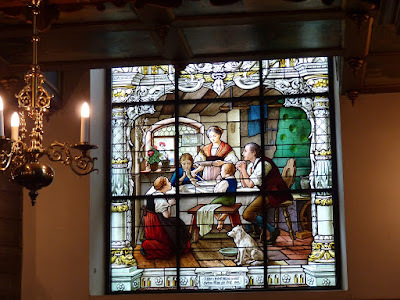 Here's a picture from the German Lutheran Church in Stockholm that I visited on holiday. 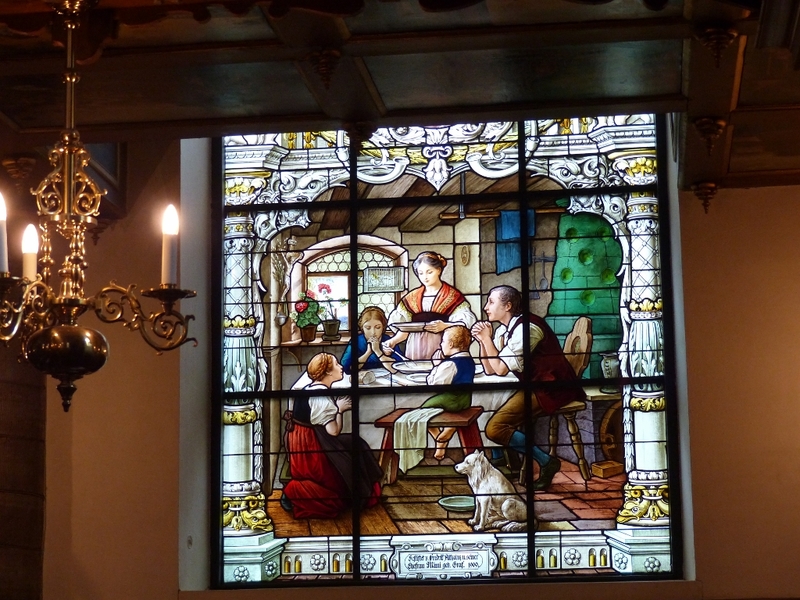 I like its stained glass saints: an ordinary family of believing Christians saying grace before their meal. So, happy All Saints Day, to God's ordinary but wonderful saints wherever they may be and whatever they may be doing, and, a special blessing to the saints of Bermondsey in St Anne's, St James's, and all our sister churches of every denomination.